Evergreen. Leaves shorter, narrower that those of Agapanthus Orientalis. 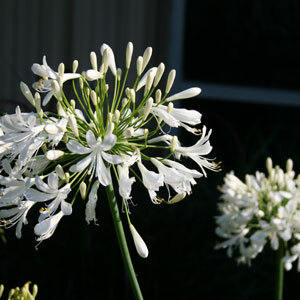 It’s flower stalks shorter (to 1.5 ft. tall), fewer-flowered (20-50 to the cluster). Blue flowers midsummer to early fall.